Why lead generation and lead management? 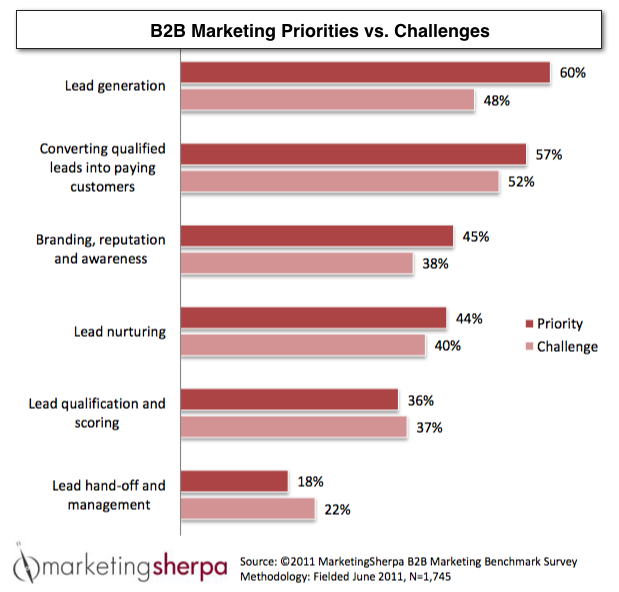 B2B marketers now put a higher priority on lead management and lead conversion over branding, reputation and awareness. Revenue growth is more challenging in a slow economy. In the past lead generation was often considered a sales responsibility. But now marketers may be more eager to show measurable contributions to revenue growth. 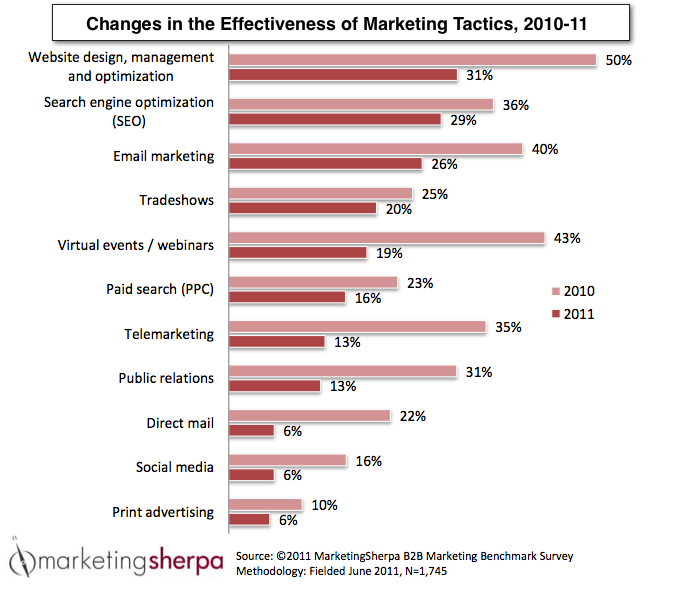 The effectiveness of all B2B marketing tactics declined dramatically from 2010 to 2011. (See chart below.) Marketers must beef up their efforts to generate as many leads as they did in the recent past. The three tactics at the top of the list--website marketing, search-engine optimization, and e-mail marketing--are primary tactics of inbound marketing. The fourth primary tactic of nbound marketing is social media, which ranks second from the bottom of priorities. Although all four inbound marketing tactics showed relative declines in effectiveness year over year, three of the four still rank as the most powerful lead-generation techniques. virtual events or webinars (7%). If inbound marketing continues to gain in effectiveness and outbound tactics continue to decline, surely the traditional balance of B2B marketing investment will shift more dramatically.